Free Baby Samples/Items From SampleThat! - Freebies, Deals, & Cash! Free Baby Samples/Items From SampleThat! 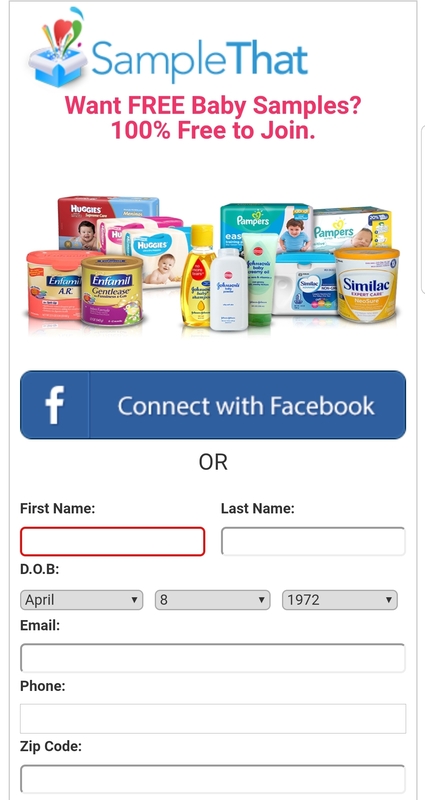 If you are currently expecting or already have an infant, you can sign up for SampleThat.com & receive FREE baby samples and items by mail! Of course, the program is completely Free, even shipping. You will never be asked to pay for anything. Items vary based on whats currently available at the time. Once you create your account, you can log in and select items or brands you are interested in. Simply head over to their website, and fill out the first page to register. Once your registered, log back in to get started. Interested in more Freebies? Check out the Homepage to see our latest posts about Freebies by mail, Deals & ways to make some extra cash. All 100% FREE. ← Join “Earning Station” & Earn Rewards!